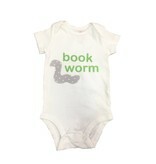 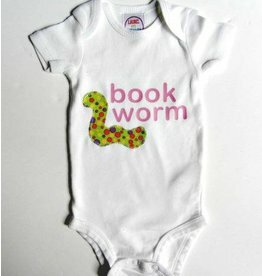 A "book worm" baby outfit for a Book Themed Baby Shower! 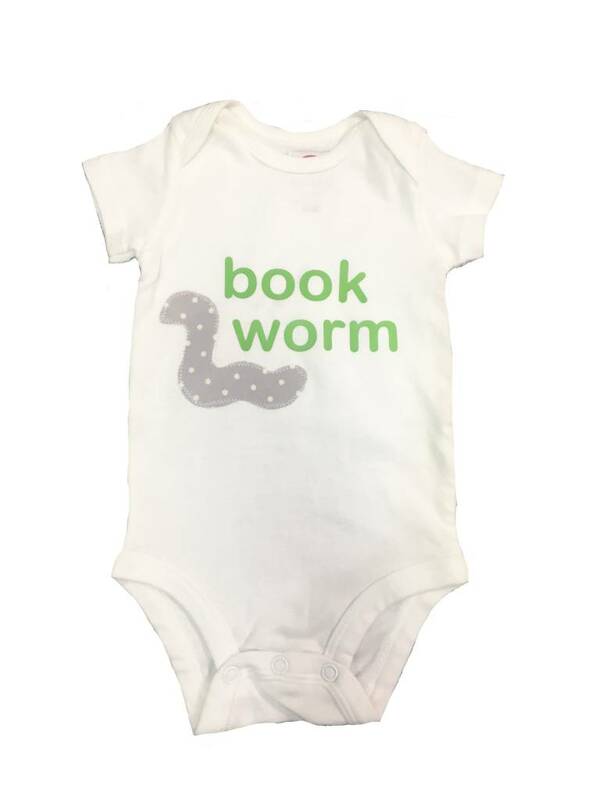 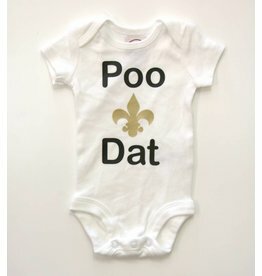 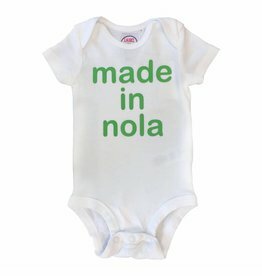 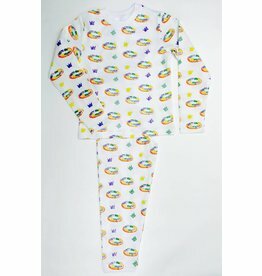 This baby bodysuit features an applique fabric worm that is machine stitched to last through many washes. 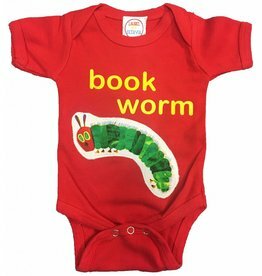 Around the worm are the words "book worm" in yellow.